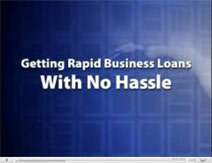 MerchantCreditAdvance is dedicated to helping businesses succeed. For any company to succeed, however, it first must have the means necessary to grow and improve. Inevitably, this is dependent upon a company's access to working capital — capital that may not be easily obtained through traditional means such as banks. That is where MerchantCreditAdvance comes in. If you own a business and your company generates $5,000 or more in credit sales every month, MerchantCreditAdvance may be able to provide you with $5,000 to $1,000,000 in business capital in a matter of days. No personal collateral is required; we provide you with a merchant cash advance based on your future credit card sales earnings. Interested? Click here to complete MerchantCreditAdvance's funding application, or call 800-503-1146 for a consultation.